Part 1. Framing Qualitative Inquiry: Theory Informs Practice, Practice Informs TheoryChapter 1. The Nature, Niche, and Value of Qualitative Inquiry Module 1. How qualitative inquiry contributes to our understanding of the world Module 2. What makes qualitative data qualitative Module 3. Making methods decisions Module 4. 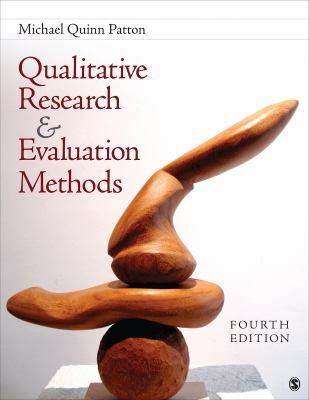 The fruit of qualitative methods: Chapter summary and conclusionChapter 2. Strategic Themes in Qualitative Inquiry Module 5. Strategic design principles for qualitative inquiry Module 6. Strategic principles guiding data collection and fieldwork Module 7. Strategic principles for qualitative analysis and reporting findings Module 8: Integrating the 12 strategic qualitative principles in practiceChapter 3. Variety of Qualitative Inquiry Frameworks: Paradigmatic, Philosophical, and Theoretical Orientations Module 9. Understanding the Paradigms Debate: Quants versus Quals Module 10. Introduction to Qualitative Inquiry Frameworks Module 11. Ethnography and Autoethnography Module 12. Positivism, Postpositivism, Empiricism and Foundationalist Epistemologies Module 13. Grounded Theory and Realism Module 14 Phenomenology and Heuristic Inquiry Module 15 Social Constructionism, Constructivism, Postmodernism, and Narrative Inquiry Module 16. Ethnomethodology, Semiotics, and Symbolic Interaction, Hermeneutics and Ecological Psychology Module 17 Systems Theory and Complexity Theory Module 18. Pragmatism, Generic Qualitative Inquiry, and Utilization-Focused Evaluation Module 19 Patterns and themes across inquiry frameworks: Chapter summary and conclusionsChapter 4. Practical and Actionable Qualitative Applications Module 20. Practical purposes, concrete questions, and actionable answers: Illuminating and enhancing quality Module 21. Program evaluation applications: Focus on outcomes Module 22 Specialized qualitative evaluation applications Module 23 Evaluating program models and theories of change, and evaluation models especially aligned with qualitative methods Module 24 Interactive and participatory qualitative applications Module 25 Democratic evaluation, indigenous research and evaluation, capacity building, and cultural competence Module 26 Special methodological applications Module 27 A vision of the utility of qualitative methods: Chapter summary and conclusionPart 2. Qualitative Designs and Data Collection Chapter 5. Designing Qualitative Studies Module 28 Design thinking: Questions derive from purpose, design answers questions Module 29 Date Collection Decisions Module 30 Purposeful sampling and case selection: Overview of strategies and options Module 31 Single-significant-case sampling as a design strategy Module 32 Comparison-focused sampling options Module 33 Group characteristics sampling strategies and options Module 34 Concept and theoretical sampling strategies and options Module 35. Instrumental-use multiple-case sampling Module 36 Sequential and emergence-driven sampling strategies and options Module 37 Analytically focused sampling Module 38 Mixed, stratified, and nested purposeful sampling strategies Module 39 Information-rich cases Module 40 Sample size for qualitative designs Module 41 Mixed methods designs Module 42 Qualitative design chapter summary and conclusion: Methods choices and decisionsChapter 6. Fieldwork Strategies and Observation Methods Module 43 The Power of direct observation Module 44. Variations in observational methods Module 45. Variations in duration of observations and site visits: From rapid reconnaissance to longitudinal studies over years Module 46. Variations in observational focus and summary of dimensions along which fieldwork varies Module 47. What to observe: Sensitizing concepts Module 48. Integrating what to observe with how to observe Module 49. Unobtrusive observations and indicators, and documents and archival fieldwork Module 50. Observing oneself: Reflexivity and Creativity, and Review of Fieldwork Dimensions Module 51. Doing Fieldwork: The Data Gathering Process Module 52. Stages of fieldwork: Entry into the field Module 53. Routinization of fieldwork: The dynamics of the second stage Module 54. Bringing fieldwork to a close Module 55. The observer and what is observed: Unity, separation, and reactivity Module 56. Chapter summary and conclusion: Guidelines for fieldworkChapter 7. Qualitative Interviewing Module 57 The Interview Society: Diversity of applications Module 58 Distinguishing interview approaches and types of interviews Module 59 Question options and skilled question formulation Module 60 Rapport, neutrality, and the interview relationship Module 61 Interviewing groups and cross-cultural interviewing Module 62. Creative modes of qualitative inquiry Module 63. Ethical issues and challenges in qualitative interviewing Module 64. Personal reflections on interviewing, and chapter summary and conclusionPart 3. Analysis, Interpretation, and Reporting Chapter 8. Qualitative Analysis and Interpretation Module 65. Setting the Context for Qualitative Analysis: Challenge, Purpose, and Focus Module 66. Thick description and case studies: The bedrock of qualitative analysis Module 67. Qualitative Analysis Approaches: Identifying Patterns and Themes Module 68. The intellectual and operational work of analysis Module 69. Logical and matrix analyses, and synthesizing qualitative studies Module 70. Interpreting findings, determining substantive significance, phenomenological essence, and hermeneutic interpretation Module 71. Causal explanation thorough qualitative analysis Module 72. New analysis directions: Contribution analysis, participatory analysis, and qualitative counterfactuals Module 73. Writing up and reporting findings, including using visuals Module 74. Special analysis and reporting issues: Mixed methods, focused communications, and principles-focused report exemplar. Module 75 Chapter summary and conclusion, plus case study exhibitsChapter 9. Enhancing the Quality and Credibility of Qualitative Studies Module 76. Analytical processes for enhancing credibility: systematically engaging and questioning the data Module 77. Four triangulation processes for enhancing credibility Module 78. Alternative and competing criteria for judging the quality of qualitative inquiries: Part 1, universal criteria, and traditional scientific research versus constructivist criteria Module 79. Alternative and competing criteria, Part 2: artistic, participatory, critical change, systems, pragmatic, and mixed criteria Module 80 Credibility of the inquirer Module 81 Generalizations, Extrapolations, Transferability, Principles, and Lessons learned Module 82 Enhancing the credibility and utility of qualitative inquiry by addressing philosophy of science issues.